A beautiful color that shines when you move under the lights of the dance floor, gold dresses are a stunning option for many events, from school dances to pageants to New Years Eve celebrations. Although the color can certainly speak for itself, there are so many ways you can pair gold with different colors. A deep burgundy or royal blue gives a regal feel. Gold and white often looks angelic or ethereal. Whatever color combo you choose, gold homecoming dresses are a great way to go and have the additional benefit of being easy to accessorize with. Prom Dress Shop has a spectacular collection of stunning gold dresses in an array of styles and silhouettes. Gorgeous fitted dresses adorned with intricate bead and sequin designs, glamorous ball gowns perfect for a quinceañera or an unconventional bride, or even simple fitted styles for those who want some sparkle without all the bling. Whatever your style preference, start shopping and find the gold dress of your dreams today! Show off your luxurious expectations by wearing a glitzy gold gown. The color gold is up and coming and its here to stay. 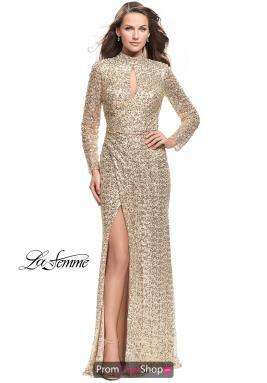 The gold homecoming dress touch is just what you need to look and feel like royalty for your next social gathering. Dress it up or keep it classic, you cant go wrong with this look. You can do so much with this look, many contrasting colors will make an everlasting impression teamed up together. You are sure to have all eyes on you as you step though the door. Don't miss out on your chance to feel like royalty, you will regret it. Shop around and fall in love with our many selections of gold prom dresses and accessories.